Most of the sunflower producing areas in China are poverty-stricken areas. At present, the price of hybrids is still relatively high. The seed investment of 20 yuan per mu is equivalent to about 1.8 times the seed price of ordinary corn varieties per mu, which affects the enthusiasm of farmers to purchase hybrids. In order to reduce the cost of seeds and reduce the price, in addition to increasing the production of seed production by the seed production department, it is necessary for the seed production department to work closely with the processing enterprises. The enterprises select the varieties, formulate the seed production plan, and minimize the losses caused by the backlog of the seeds. Enterprises recycle products by order to promote the enthusiasm of farmers to purchase seeds. Introduce and screen disease-resistant resources and actively carry out disease prevention work. In view of the seriousness of the disease in China, if no effective measures are taken, it will affect the planting area and yield of sunflower. Sclerotium disease has no good resistance resources and prevention measures at home and abroad. Only the introduction and screening of resources more resistant to sclerotinia can be used for breeding work. At the same time, chemical dressing, early and mid-term chemical control, and long rotation are formulated. Time to wait to reduce the degree of harm. Most of the sunflower producing areas in China have less fertilization and generally do not use pesticides. It is very beneficial to the production of qualified organic products. At present, there are many small and medium-sized enterprises producing organic sunflower kernels. The export market has strong competitiveness and good benefits, but it is still Without the brand of organic sunflower oil, expanding the production area of organic products, increasing the variety of export products, and making the integration of resources of some small enterprises is a top priority. 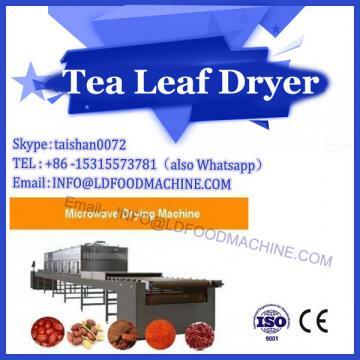 In recent years, China's sunflower roasted seeds and nuts processing enterprises have developed rapidly. The annual production capacity of such brands as Qiaqia and Zhenxin can reach 10x104t. However, there is no stable raw material base at present. The source of raw materials is very scattered. The relevant government departments in the production areas should give Coordination and guidance of farmers' order awareness will not only stabilize farmers' income, but also improve their efficiency and market competitiveness. Actively promote the industrialization of oil sunflower processing. In recent years, with the increasing demand for sunflower oil, China's imported technology has been accelerating, and many foreign advanced technologies have been digested and absorbed. In the processing technology and equipment of sunflower oil, there is not much difference compared with foreign countries. Sunflower oil is a good long-term nutrition and health care product. With the improvement of people's living standards and the deep understanding of the nutritional value of sunflower oil, the demand for sunflower oil is increasing. The consumption of sunflower oil in China increased from 4.3×105 t in 1997 to 6.6×105 t in 2003. The market for sunflower refined oil has been expanding. It can be seen that the prospect of sunflower oil industry is very broad. In order to make the sunflower oil industry do a good job, the enterprise itself must have a certain scale. At least the annual output should be above 3×104 t. The raw materials should be selected from the oil sunflower hybrids with a solid oil content of 43% or more. The enterprise should be connected with scientific research. Realize the industrial pattern of integration of scientific research, production and processing, so that enterprises can have market competitiveness and steadily increase farmers' income. At present, there are fewer large-scale sunflower oil processing enterprises with a capacity of more than 5×104 t in China, and there are fewer large-scale sunflower refined oil production enterprises. There is no large-scale sunflower refined oil processing enterprise in the northeastern sunflower producing area in China, so in the near future The domestic sunflower refining oil enterprise will receive good results and will promote the healthy development of sunflower research and production.